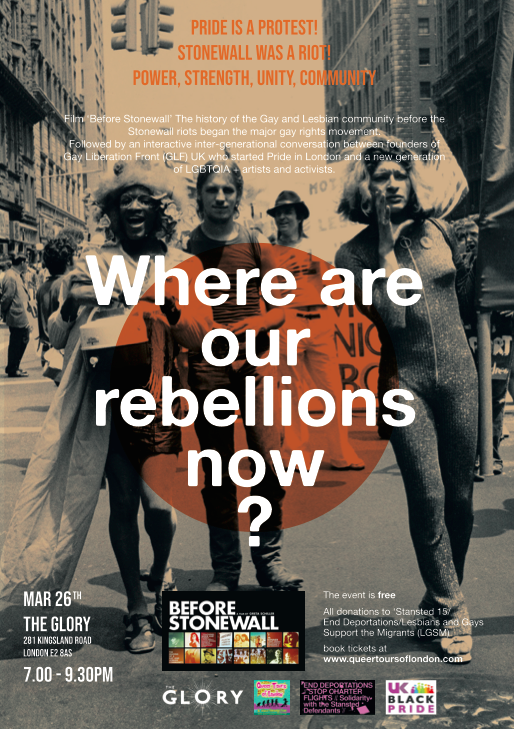 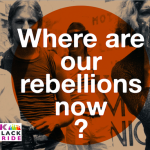 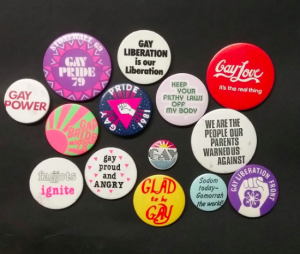 On the 50th anniversary of the Stonewall Riots we are pleased to announce ‘Where are our rebellions now?’ is BACK BY POPULAR DEMAND on 26th March 2019 7-11pm at East London’s queer home that is the Glory! 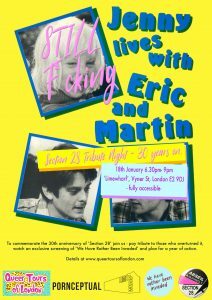 Film, panel and party! 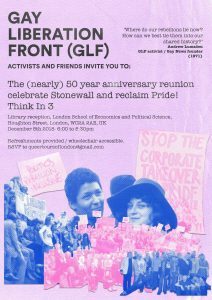 With the Film ‘Before Stonewall The history of the Gay and Lesbian community before the Stonewall riots began the major gay rights movement’ followed by an interactive inter-generational conversation between founders of Gay Liberation Front (GLF) UK who started Pride in London and a new generation of LGBTQIA+ artists, activists performers and DJ’s to be announced. 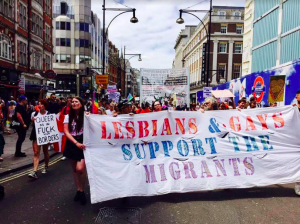 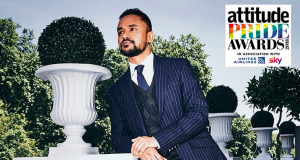 The event is free but all donations to ‘Stansted 15′ / End Deportations / Lesbians and Gays Support the Migrants (LGSM) / all tickets at www.queertoursoflondon.com / be sure to book your tickets ASAP here as there are limited spaces! 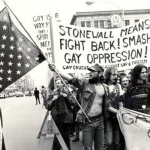 Here’s what happened last time! 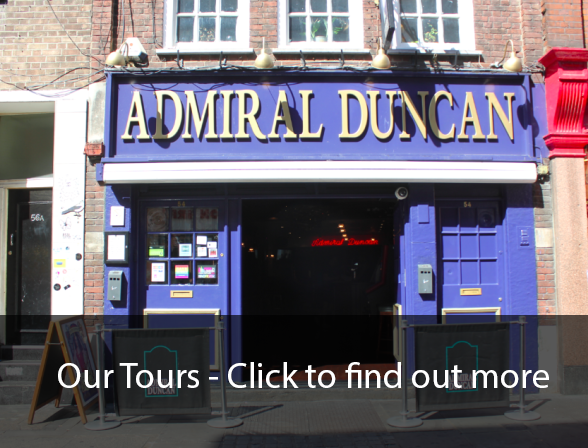 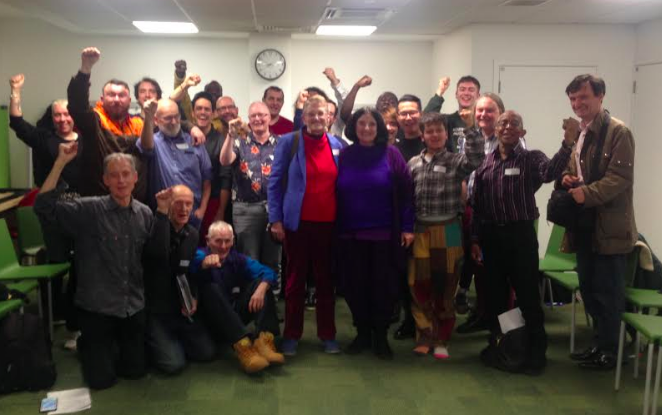 Thanks to all our amazing speakers and everyone who participated – all details here! 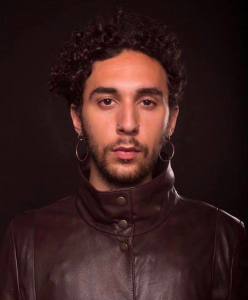 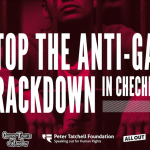 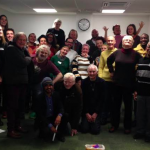 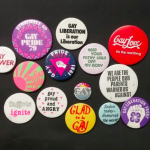 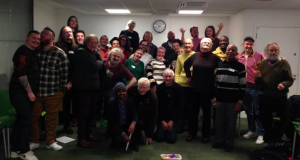 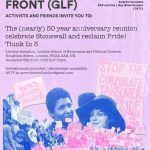 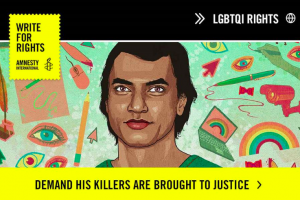 09.01.19 – Gay Liberation Front (GLF) ‘Think In 4’ – Reclaim Pride! 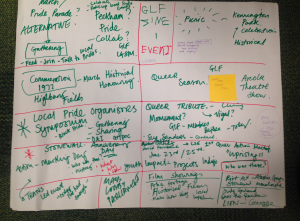 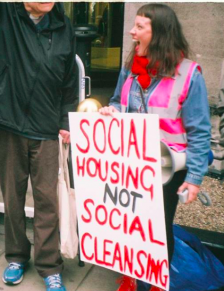 We are having monthly ‘think in’s’ at LSE (where GLF UK began) to develop our demands and action plans. Everyone new or old to the movement and who is committed to ‘LIBERATION FOR ALL’ is very welcome. 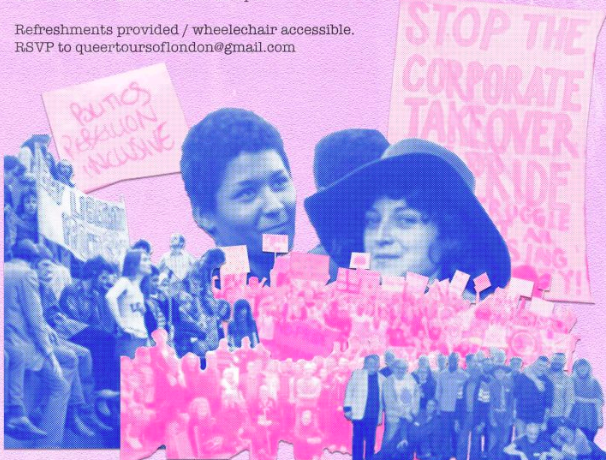 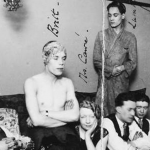 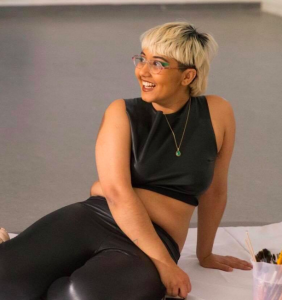 If you wanna get involved and join the ‘Think In 4’ on January 9th at LSE and /or be added to the mailing list please email queertoursoflondon@gmail.com with a few lines of who you are and your committed to radical (getting to the root) queer freedom. 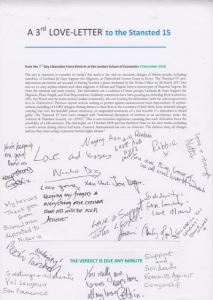 Thanks to everyone who is making this happen! 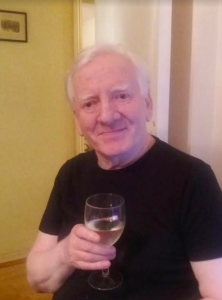 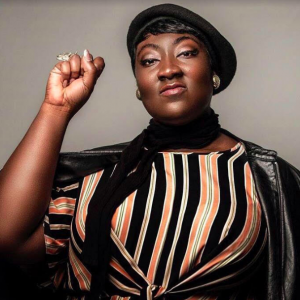 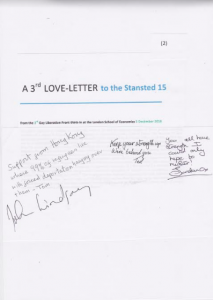 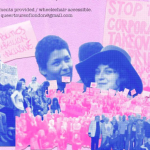 Support the Stansted 15 Defendants! 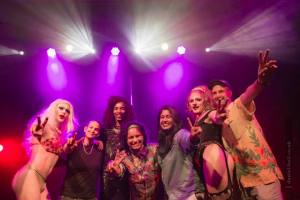 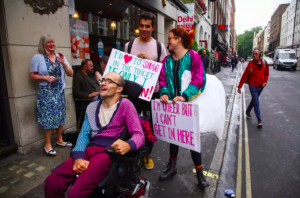 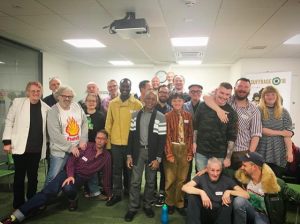 Last night at the ‘Think In 3’ the ‘Gay Liberation Front’ (the legends that started Pride’ and friends made another love-letter for our phenomenal friends on the ‘Stansted 15’ trial who took necessary action to protect LGBTQIA+ lives. 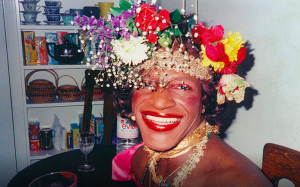 Sending you all our love and strength!